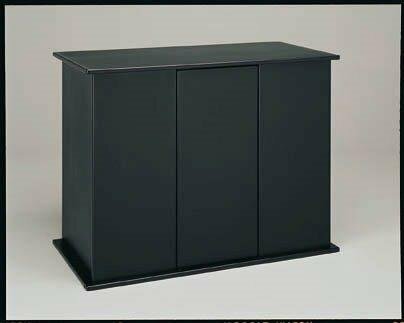 State-of-the-art aquarium stands & canopies Quality aquarium furniture with moisture-resistant, powder-coat finish Sturdy aquarium stands feature metal-to-metal locking cam assembly Quality aquarium furniture lets your aquarium get the attention it deserves. 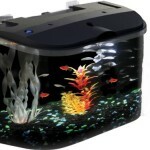 Unlike “lip-only” stands that support only at the corners, these solid-top models support every square inch of your aquarium. 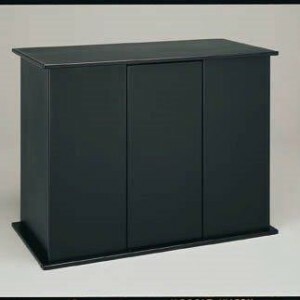 Dense fiberboard core construction and a moisture-resistant, black powder-coat finish. 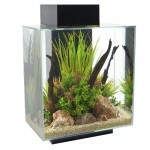 Looks great in any room to give your aquarium a clean finished look. Powder-coat Finish The finish on these stands is created using state-of-the-art powder-coating process, which ensures that the end product is extremely durable and moisture-resistant. Solid Tops These tops offer greater versatility over those with mere “lip-only” construction. 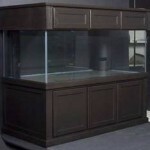 Solid tops allow each stand to be safely used with a variety of tanks, or other pet habitat. Fasteners Unlike low quality aquarium stands that simply use wood screws and glue in their construction, these stands use a metal-to-metal locking cam assembly resulting in a sturdier and longer lasting quality product.